Pakistan’s top-order batsman Babar Azam has been in a tremendous form of late. He has been the premier contributor with the bat for the country across all 3 formats. Recently, the right-hander broke a record that was previously held by Indian captain Virat Kohli. 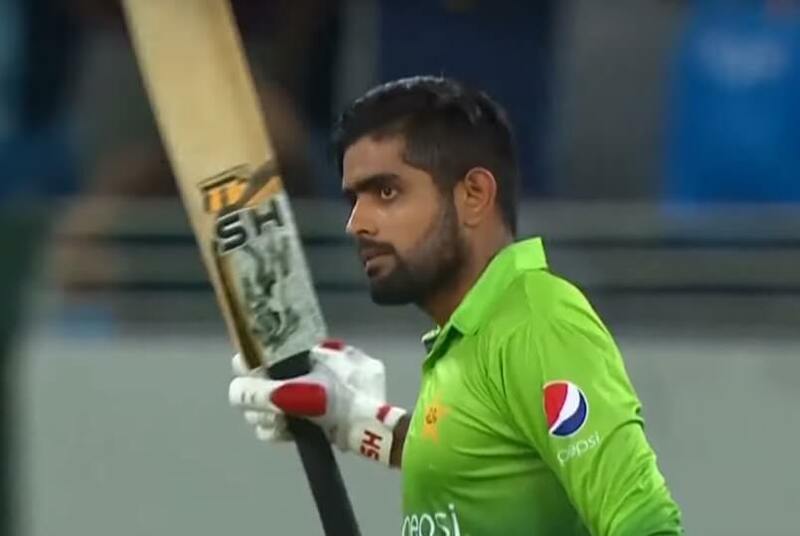 Babar Azam overtook Kohli and became the fastest to achieve 1000 runs in T20I cricket. He reached the milestone in his 26th innings while Kohli had taken 27 knocks. In Pakistan’s 3rd T20I against New Zealand, Babar got to the milestone and reached the top of the tree. The 24-year-old is also the No.1 batsman in the ICC T20I Rankings. His recent form has seen him climbing the ladder of success quicker than any other Pakistani batsman in the history. He averages 54.26 in the shortest format of the game, which is the most by any player in the world. The Lahore-born cricketer is also the only batsman currently to average above 50 in the format. Pakistan won the T20I series against New Zealand by 3-0. Babar finished as the second highest run-getter in the series for Pakistan after Mohammad Hafeez. He top-scored in the final T20I with a knock of 79 from 58 balls that propelled the side to a winning total of 166/3. That knock also led him to become the fastest to 1000 T20I runs.